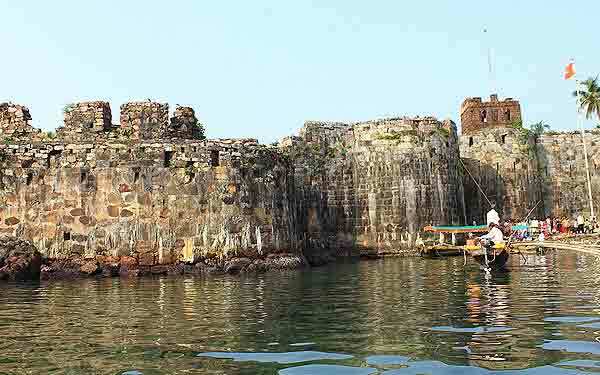 Sindhudurg Fort - Shivaji personally selected the site for the fort. 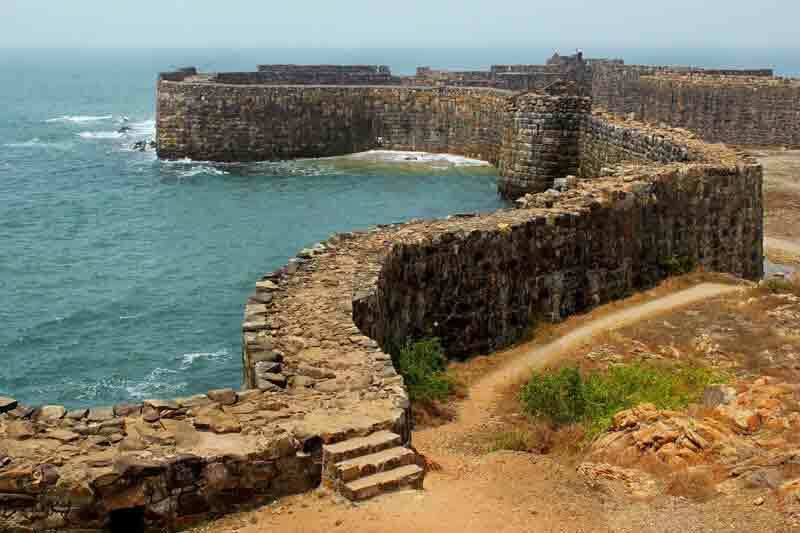 The construction of a sea fort is a stupendous task, and at Sindhudurg no efforts were spared. Over 2,000 khandis (4,000 mounds) of iron were used for casting and the foundation stones were laid down firmly in lead. Even today, as one approaches the fort past a rocky reef, navigable through a narrow channel, one marvels at the transportation of such heavy material through such choppy waters. 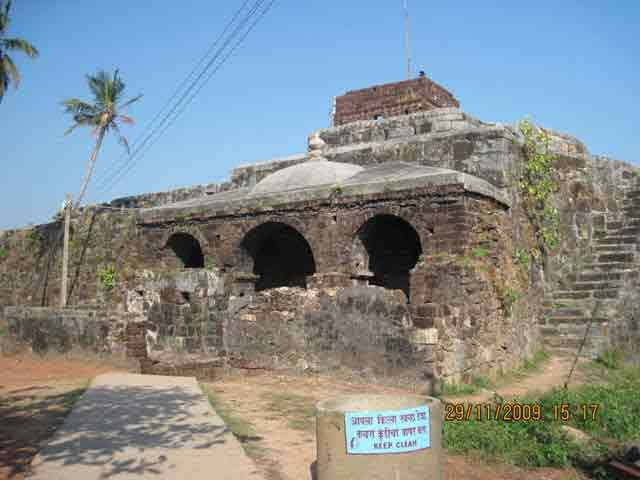 The fort houses a temple dedicated to Shivaji. Built by his son Rajaram, this is the only shrine of its kind in the country. 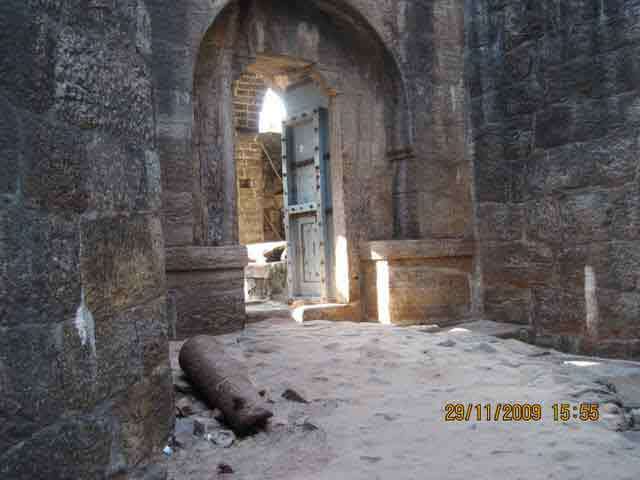 The fort also has the hand and feet imprints of Shivaji on one of its walls. 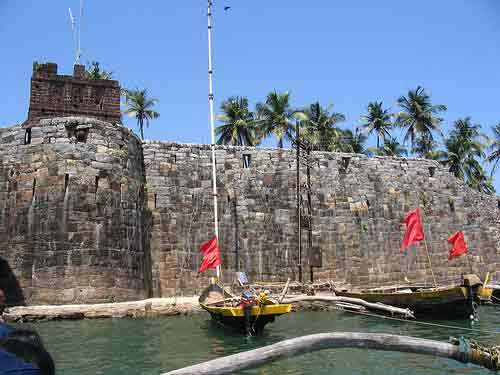 In course of exploration three triangular and three grapnel types of stone anchors were noticed at the entrance of the Sindhudurg Fort. Anchors were made out of local available sand stones. Presently these anchors are cemented on the platform of the small jetty of the fort, two other grapnel types of stone anchors are used as the mooring stones. The original place of these anchors is not known. But, it should be from nearby area only, where there might have been a number of ancient wrecks. The submerged rocks of adjoining area caused wrecks due to inexperienced navigation. Local fishermen informed about the several shipwrecks behind. 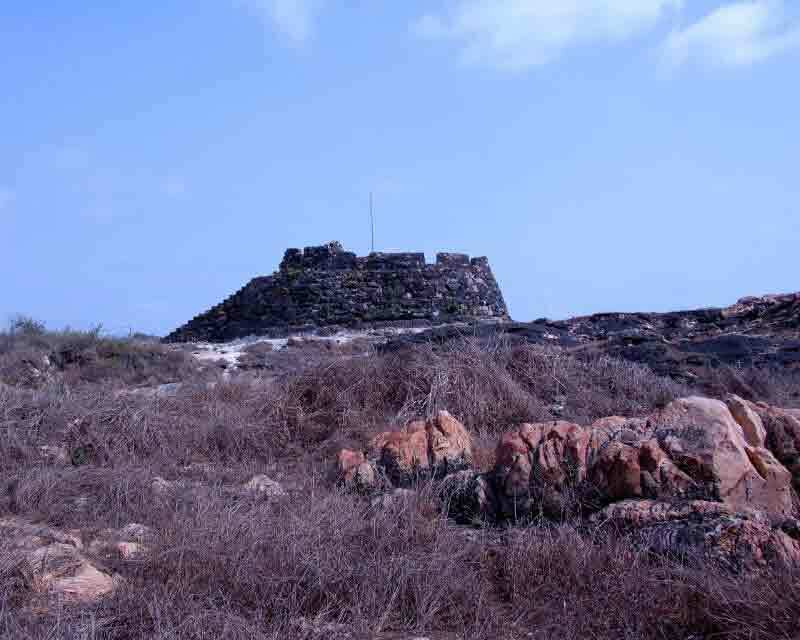 Boat/Ferries: The fort can be approached only through a narrow navigable channel, between two small islands of Dhontara and Padmagad. 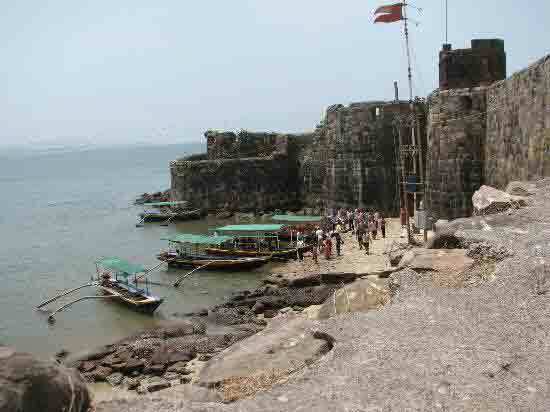 Ferries ply at regular intervals from the Malvan port to the Sindhudurg fort. Rajapur and Kudal are the nearest railway stations on the Konkan railway. Sindhudurg by road is 510-km from Mumbai via the Goa Highway.